– Develop a small-scale secure communications infrastructure to share alerts (neighbourhood, local businesses, network for friends, a market, a targeted workplace). This could be an instant messaging group, or text alert system, or something else altogether. 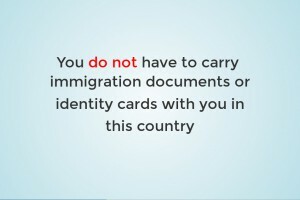 – If you feel confident in giving workshops to groups at risk of raids, involving role plays and basic ‘know your rights information’, you can use the following slideshow as a guide (notes included). Images are essential! Clear images help communication across barriers of languages and literacy. We have found that while some stall visitors may not want to pick up a wordy leaflet, they’ll happily take an informative poster they can stick on their toilet door. We will share most posters and graphics submitted to us on the blog (if in doubt please get in touch first). – Write up your experience of challenging immigration enforcement so that we can add it to our ‘Confronting the Raids‘ series to inspire others. – Get out into the streets: print out and put up posters (flyposting guide here), stickers, graffiti, stencils etc. Note that some of these things could constitute a minor offence, so watch out. See here for some posters you can download and print. 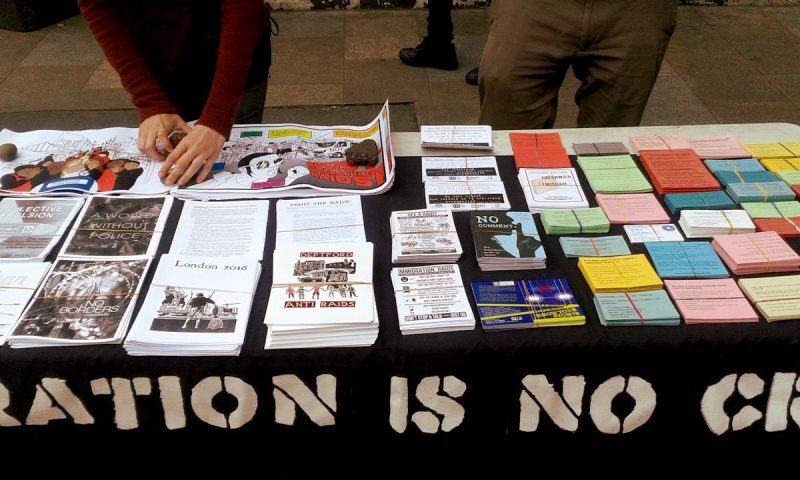 Whether it’s running a regular stall, leafleting in the street or going round from shop to shop, you can use any of our materials to do so, or develop your own. Get in touch if you would like any of our ‘know your rights’ cards or leaflets.